Studio Simic completes custom roof top ladder for residential client. The folding system was designed to maximize storage space, and allow for access to the electrical panel. 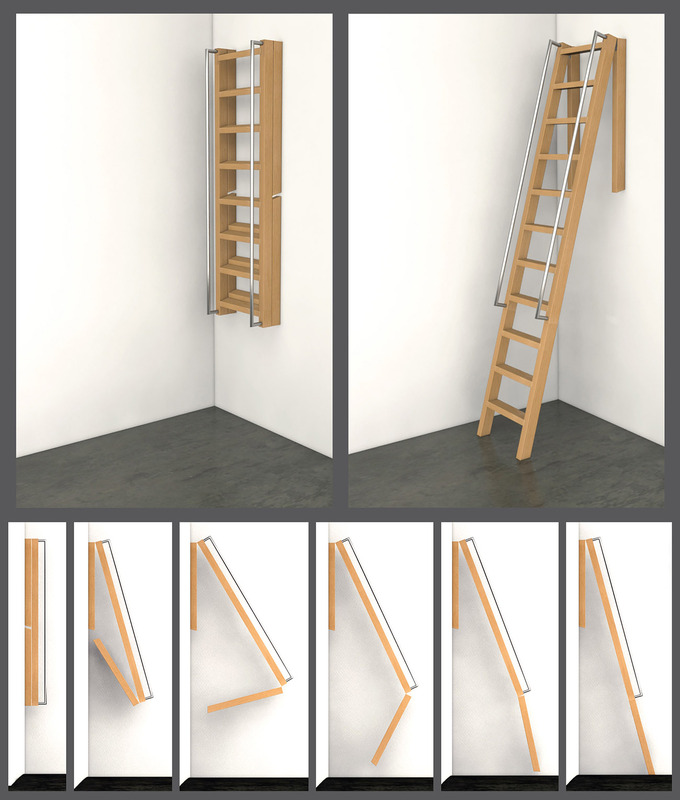 Ladder is mounted in 4′ x 3′ closet.